The CISO role is more varied and more pressure-filled than ever. 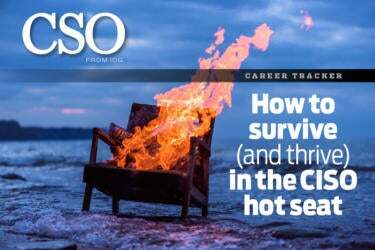 CSO Online looks at how you can be successful in a post where security incidents and management feuds can cost you your job. The CISO role is precarious. Research studies indicate that CISOs typically survive just 18 months to two years in a job that is increasingly complex and multi-skilled. After all, information security is no longer solely about managing firewalls and patching vulnerabilities, but rather is a varied role encompassing business and technical skills. Add to that continual issues around funding, reporting lines, governance and a lack of support from the board and you can see why the role is not to be taken lightly. One critical success factor is how effectively CISOs work with senior management. In fact, sacked CISOs often fall down on articulating the security problems — and solutions — to senior management. And experts say that board understanding and security budgets are invariably linked.